Acoustic acts playing at Groove Cairngorm Festival will be performing at the highest restaurant in the UK. 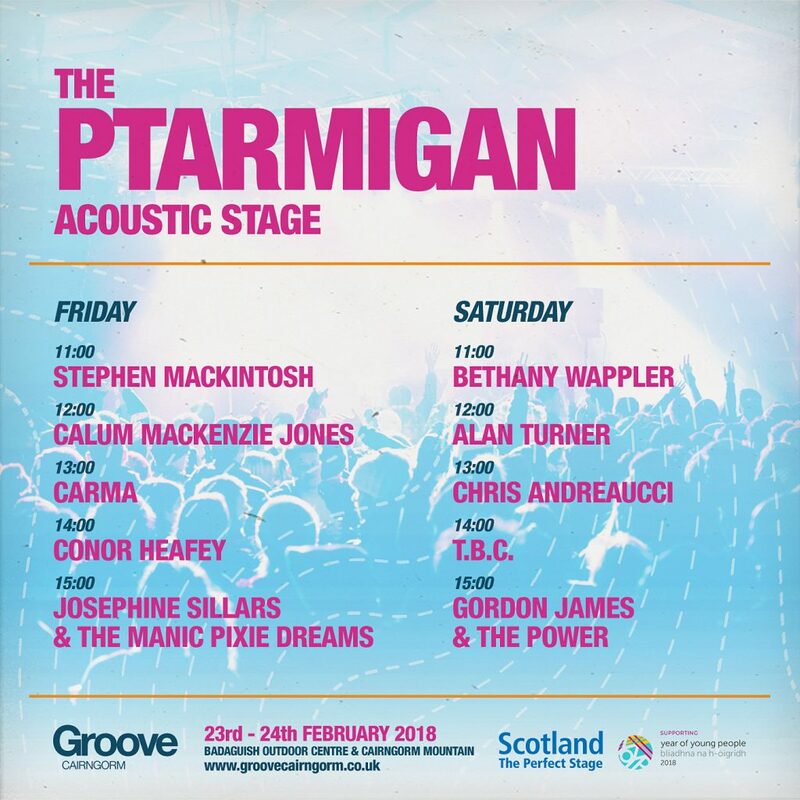 The Ptarmagin Restaurant at the top of the Cairn Gorm Mountain railway the setting for the acoustic stage at this year’s Groove Cairngorm. The restaurant boasts amazing panoramic views down to Loch Morlich and across to Ben Nevis and Ben Hope. Set to appear over the weekend of February 23rd and 24th are Josephine Sillars & The Manic Pixie Dreams, Gordon James & The Power, Conor Heafey, Carma, Calum Mackenzie Jones, Stephen Mackintosh, Bethany Wappler, Alan Turner and Chris Andreaucci. Following on from the day-time snowsports and music the entertainment moves down the mountain on to the Apres-ski festival site with a line-up featuring a raft of talent including: EXAMPLE & DJ WIRE, Huey Morgan (Fun Lovin’ Criminals/BBC Radio), Norman Jay MBE, Start to Ends Daft Punk Discover Live, Colonel Mustard and the Dijon Five, Mash (Mixmag), Shaka Loves You, AVA LOVE and Let Us Play.